A rare luxury in the United States, Tilsit is a fragrant, surface-ripened cheese with a lovely buttery yellow color and tiny elliptical holes. The consistency is springy and elastic, yet rather moist and creamy, with a mild flavor that's delicate with spicy undertones. A handy cheese to have at your disposal, Tilsit can be cubed for use in salads, heated for addition to sauces, melted over potatoes, flans, or on burgers. Tilsit is similar to, but has a much fuller flavor than, Havarti. Think of it as Havarti with a flavor boost and aroma to match! Aged for over 6 months, you'll find this cheese on the slightly spicy side. It's a pressed, cooked-curd cheese with occasional pea-size holes. We found it to have a pleasing, smooth texture. Its real charm though, is its fruity tanginess, making it a perfect complement to delicious summer fruits or to be served as a dessert cheese. The word tomme, called toma and tuma in Italy, refers to a wheel of cheese. 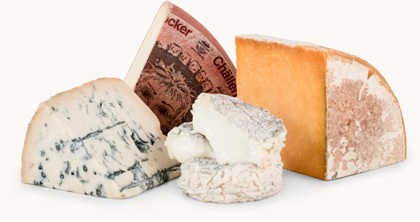 The word tomme also implies that a cheese is made from the milk of more than one herd. There are many varieties of tome, each named after the area where they are made. The wheels which are made in winter from cows that eat hay are very different from the tomes made with summer milk, because the cows have been gazing in lush mountain pastures. This cheese comes from Savoie, a region on the eastern boarder of Switzerland, where these cheesemakers are well known for Tomme-style cheeses. After the farmer uses the cream to make butter, the cheesemaker uses the skim milk to make Tomme de Savoie. 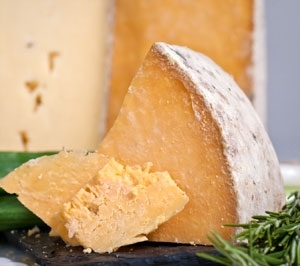 The maturing process takes two or more months, producing a cheese with a rustic appearance – a thick, sometimes fuzzy, grey rind with patches of yellow or red molds. The pâté can be a buttery color or so pale that it is virtually white. It has many small eyes, and smells and tastes earthy like a cave.  Tomme de Savoie is mild and creamy. Our 100% satisfaction guarantee ensures that every item you purchase at Gourmet Cheese of the Month Club meets your high standards or we will replace it or refund your purchase.